* If it rains, we will change the venue to the Landmark Tower Sky Garden. If it rains, we will change the venue to Landmark Tower Sky Garden. in PRADS 2019 conference bag. Address: 2-2-1 Minatomirai, Nishi-ku, Yokohama, 220-0012 Japan. National Maritime Research Institute is one of the world’s top academic institutions to have high-level experimental facilities and major research centers on maritime and ocean technology with about 170 researchers. They mainly focus on the research for “Ensuring safe maritime transport “, “Protection of marine environment”, “Ocean development ” and “Competitiveness of maritime industry “. * Photography is prohibited in some specific areas of the facilities. Jindaiji Temple is a historic temple and has bustled since 733. The area is rich in spring water and small stream. This suited to growing soba (buckwheat noodles), and making soba has been prosperous from long ago with rich nature. “Hakuhoh Buddha” created in the 7th century is very famous, being designated as a National Treasure. Port and Airport Research Institute (PARI) is a National Research and Development Agency and a part of the National Institute of Maritime, Port and Aviation Technology. Researchers have been dedicating research and development for ports and airports in order to contribute smooth and efficient construction, and improvement of related technologies. In this cruise, you can enjoy a tour around the Port of Yokosuka, where the US Navy facilities and the headquarters of the Japan Maritime Self-Defense Force are located. This is the only tour in Japan to closely watch Japanese and US Navy ships at the same time. ■ Mitsui E&S Shipbuilding Co., Ltd. The Mitsui E&S Shipbuilding Co., Ltd. Is building various kinds of vessels including bulk carriers, oil tankers, LNG carriers, naval vessels for the Ministry of Defense and patrol vessels for the Japan Coast Guard. * Photography is prohibited. High heels and skirts are also prohibited during the shipyard tour. The “Umihotaru Parking Area” is a rather unusual parking area built on a 650m artificial island located amid Tokyo Bay. This is the only shopping mall floating on the sea, and equipped with 360° panoramic view of Tokyo Bay, shops, restaurants and refreshment facilities. Japan Agency for Marine-Earth Science and Technology (JAMSTEC) has the main objective to contribute to the advancement of academic research in addition to the improvement of marine science and technology by proceeding the fundamental research and development on marine, and the cooperative activities on the academic research related to the Ocean for the benefit of the peace and human welfare. * Visitors are supposed to walk around an hour in the tour. * Please refrain from wearing sandals or high heels otherwise you may not join the tour. * The information on the link destination is subject to change without notice. For the latest information, please check JAMSTEC website. Enoshima Island is a small island on the southern part of Kanagawa Prefecture, and a vacation spot where many tourists have visited from long ago. There are various sights to visit, such as the observation tower “Enoshima Sea Candle” and “Enoshima Shrine”, which you can access using “Enoshima Escar”, the first outdoor escalator in Japan. JFE Steel is a steelmaker engaged in the total steel-making process, taking iron ore raw material and turning it into final products. Boasting one of the world’s greatest capacities for steel production, JFE Steel satisfies customers by producing steel under a corporate philosophy of “contributing to society with the world’s most innovative technology.” The company also contributes to environmental protection by developing reduced-impact ironmaking processes and high-performance steel materials. The Daibutsu at Kotokuin is known as Kamakura Daibutsu. The height is 11.31 meters (13.35 meters including the base) and the weight is about 121 tons. The construction of the bronze statue of Buddha as it appears today dates from 1252. Kamakura Daibutsu is the only statue of Buddha in Kamakura that is designated as a national treasure. According to legend, this old temple has been here well before the Kamakura period. The 11-faced Kannon is 9.18 meters tall, and it is one of the largest wooden Buddha statues in Japan. There is an observation platform on the flat area where the Kannon hall is built, overlooks the sea, the streets of Hase, and all the way up to the Miura Peninsula. There is a possibility that the destination of tours will be changed. In that case, we will announce the change on website. The city of Odawara has flourished as a major point of transport from long ago. This tour provides visiting Odawara Castle and other historical buildings, and tasting Japanese traditional sake in sake brewery. We visit sake brewery which continues 200 years by handcrafted method of manufacturers, learn how to manufacture sake, and taste it. Seikantei was built in 1906. At that time, it was a villa owned by an earl. Now, it is designated as an important cultural property. You can overlook magnificent Sagami Bay and Hakone mountain. Odawara Castle, known as the invincible castle, was built hundreds of years ago, and is located at a strategic place to the Kanto region. Armors and swords are exhibited, and we can enjoy spectacular view from the castle tower. Wearing Kimono, we travel around Kamakura, which used to be a political center of Japan in the past like Kyoto and Nara. Kamakura is famous for its original culture, nurtured in the first Samurai regime. We travel around temples and shrines wearing Japanese traditional costumes “Kimono” in Kamakura. We have Japanese food in a traditional Japanese house. Many people visit Egara Tenjinsha Shrine every year making a wish of the progress of their learning, because the shrine is believed to be a protector of intellectual pursuits. It is also famous for the plum blossoms, attracting tourists. Sugimotodera temple is the oldest temple built from 734 in Kamakura. Roofs of thatch and stairs of mossy stone are very beautiful. Hokokuji temple is referred to as “Bamboo temple”, because there is a bamboo forest in grounds of the temple. There is a walking path in the bamboo forest. And we can drink Matcha in a tea ceremony. Shuttle buses will be arranged between PACIFICO Yokohama and the banquet venue. Easy and enjoyable way to find out about a range of exciting activities to do in Yokohama, Japan’s First Port of Call, before or after your conference. From the moment you arrive, and sense the energy of Yokohama, you know it’s going to be a special visit. 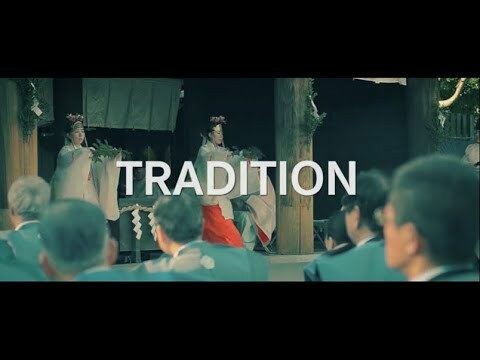 The best and oldest traditions of Japan are alive and thriving in Yokohama. 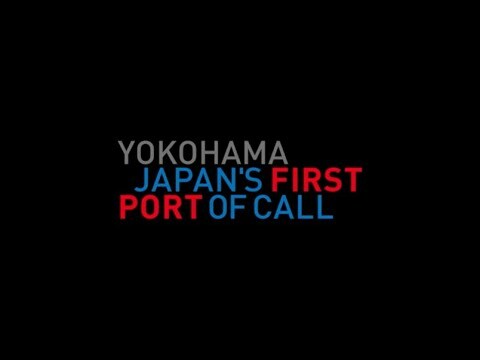 As the first Japanese port to open its doors to the world 150 years ago, Yokohama represents a fusion between Japanese tradition and world cultures. You can enjoy many different events all year round. Explore and learn about Yokohama by Tourist Attraction Areas. Culture, art, events, entertainment – Yokohama brings it all together. The charms of local hospitality are fresh every time you visit. Right away, you’ll see why this is such a special city. Welcome to Yokohama! Having been the port city that was at the epicenter of Japan’s opening up to the west, Yokohama still holds onto that unique position of being able to fuse a variety of cultural influences while keeping an eye of the ever-changing and playful landscape of modern art and expression. Experience Yokohama’s rich tradition and culture. Yokohama stands out as a city of endless culinary exploration. From local ramen stalls to high-end fusion restaurants, Yokohama has plenty to offer for those seeking traditional Japanese cuisine or something a little more creative. By Japanese standards, the city is also a craft beer mecca with multiple craft breweries. 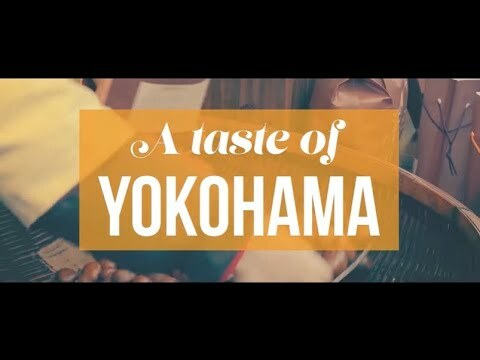 Come taste what Yokohama has to offer.